In recent years, user experience design as the most important design process, is well-known to the general public. 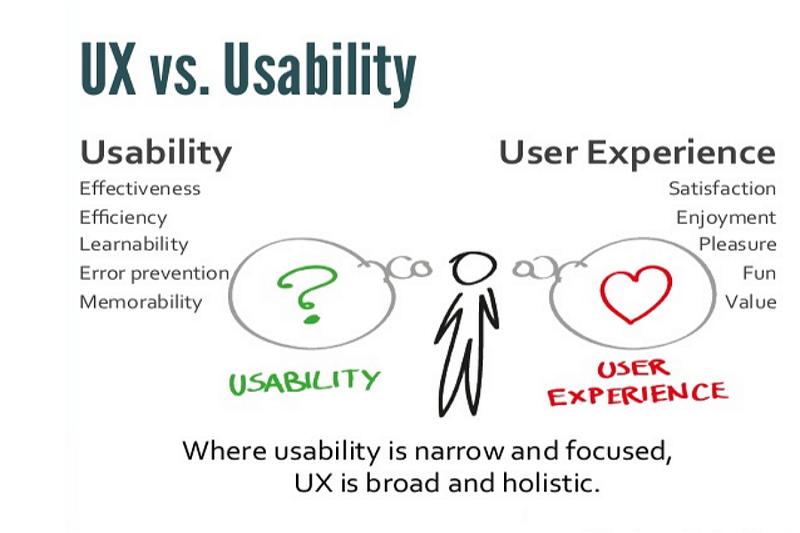 And the term“usability ”also plays an important role in improving the UX. Besides, there comes out a specialized position named as ”usability engineers” in Europe and the United States. However, the more of the technical terms come out, the less they can understand the difference, especially, the usability and user experience are confused by many designers. Although this topic has been discussed in many posts. But it is still necessary for me to clear it out the difference between user experience and usability based on my years of research on user experience and product usability. User experience refers to a person’s subjective feeling and attitudes about using a particular product. It includes the functional scope, product brand, psychological expectation, and actual emotional feeling. 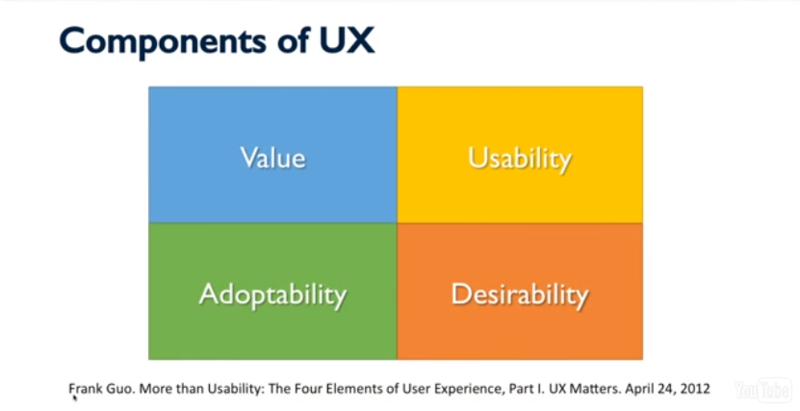 These are an indispensable parts of the user experience. Usability is an important quality indicator for interactive IT products/systems. It refers to the degree to which products are effective, easy to use, easy to learn, efficient, fewer errors and satisfying to users. Usability is mainly about the functional part of the product. In a word, “Don’t make me think”. Remember, stop making usability mistake as they can kill your website conversions. Evaluate overall effectiveness and efficiency of the product, and take it as the design goal. Evaluate user comfort and satisfaction degree, and take it as the design goal. Design the product for making it easy to use, and can evaluate usability issue. Design and evaluate for what the users do in the process of starting and ending interactivity with the product. Maximize the realization of the stimulus, recognition and arouse the emotional resonance. Functionality: Can this product work normally? Learnability: Can this product be used without extra learning? Flexibility: Can this product do something more except accomplishing the main task? Industry design: Is this product pretty enough? Plus, keep these 5 crucial usability principles in mind all the time. Usability: Is it easy to complete tasks? Adaptability: Will people start using the product? Desirability: Is the experience fun and engaging? Value: Does a product provide value to users? For a website, the only usability goals is "easy to use". However, the goal of the user experience is about the overall feel a user gets before, during, and after using the website. Therefore, usability is related to how easy it is for the user to complete the task while using the site; the user experience focuses on the user's perception of how the site interacts with him. Good usability products make users feel more conveniently, quickly and comfortably after using the product , also reduces wrong operations made by users. Obviously, it will arouse a good emotional experience and make the user feel happy and enjoyable, then it will improve the user experience design of the product. For examples, Imagine 2 boxes in the room. The big box is heavy and takes a lot of efforts to open it. This can be regarded as a bad usability product. And the person who opens the box might be upset to use it, resulting in a bad user experience. On the contrary, a small box is easy to open and carry, it results in good usability, which results in good user experience. Accessibility refers to the website is available and can be easily accessed by a normal person or even disabled person. Accessibility testing focuses on testing if the website is accessible to disabled people and can be used by various tools used by them. Usability means to deal with how easy and intuitive a website is to use. If the users can use a website without any instructions, we would call it highly usable. Usability testing focuses on measuring the ease at which website can be used. It is also how user-friendly the website is. Remember, you should conduct a usability review before jump in design. Usability involves effectiveness, efficiency, and satisfaction where users can complete certain tasks as easy as possible. On the other hand, user experience covers a wider aspect of the user's interaction with the website. 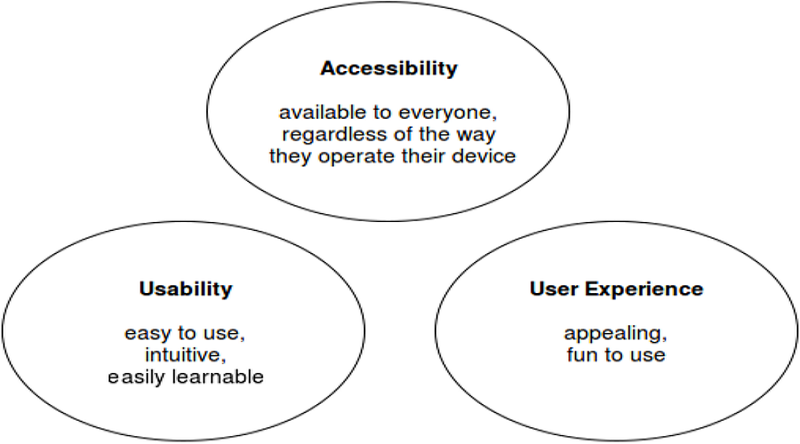 Hope you can get the clear understanding of the difference between user experience and usability from this post.